The Moose Is Inn is a family owned and operated Bed and Breakfast in the small town of Clam Gulch. We are located right off the Sterling Highway between Soldotna and Ninilchik. A perfect stop on your way to Homer or Clam Digging on the beach. We are minutes from the Clam Gulch and Ninilchik beach for beach combing or clam digging. We are also about 5 miles from the Kasilof River and about 17 miles from the world famous Kenai River. Our bed and breakfast is also close to a few stocked lakes in the Kasilof/ Clam Gulch area. 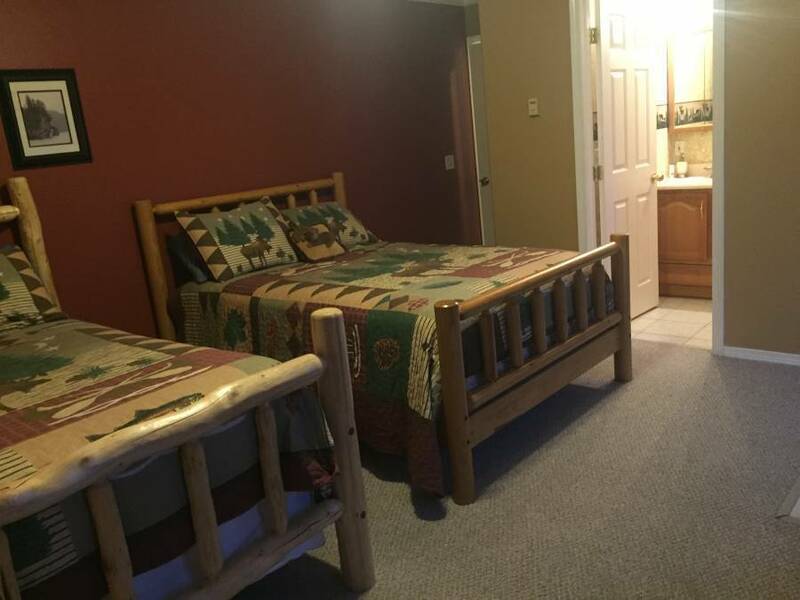 We rent out 4 rooms that sleep up to 4 people each. Our rooms have private bathrooms, free wifi, satellite tv, jetted tubs, balconies and come with a continental breakfast in the morning. We also have a full kitchen, dining room and living room on the main floor that is shared by all 4 rooms. We have a large wrap around deck for all of our guests to enjoy with a bbq grill. In the summer our family commercial fishes for wild salmon and sell fresh salmon at wholesale prices directly to our guests. So, regardless of how many salmon you catch you can be sure to go home with at least a box of fish. We offer fillet, vac. pack, freezing and shipping services. We offer clean, comfortable rooms with a family atmosphere. 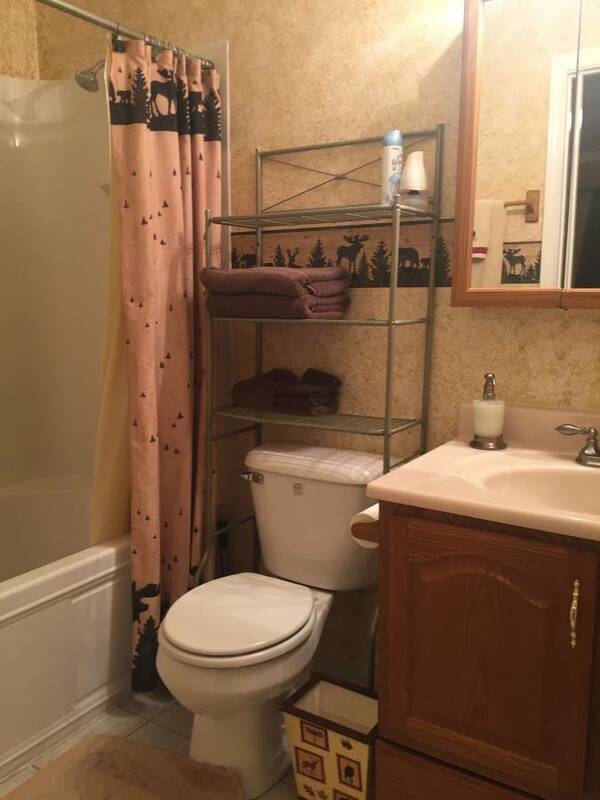 All of our rooms are private with separate bathrooms for each room. The main living area has a large kitchen, diningroom and livingroom that all the guests share. We also have a large deck with a bbq grill for our guests to enjoy. All of our rooms have private bathroom (3 have jetted tubs), 2 of our rooms have balconies with views. All rooms come with wifi, satellite tv, comfortable beds, and continental breakfast. They can sleep up to 4 people. We are off the Sterling Highway on your way down to Homer. It takes about an hour to get to Homer from our location. 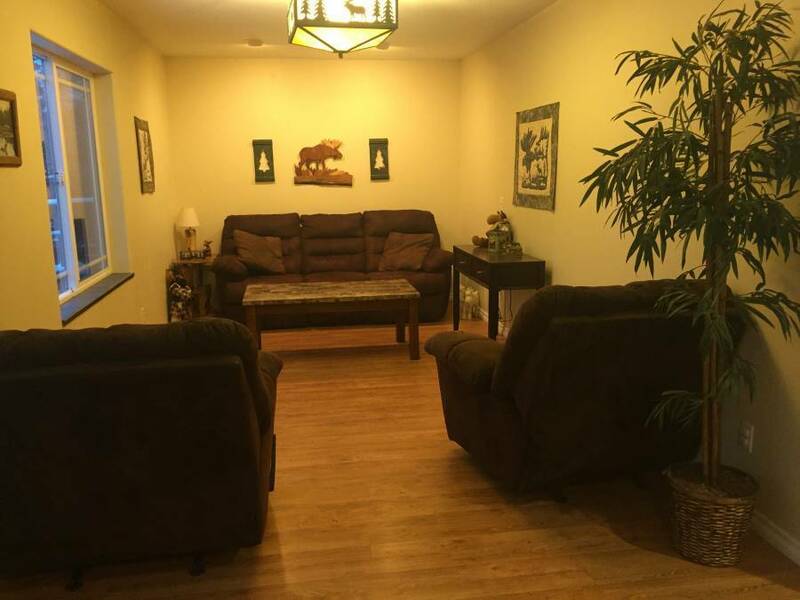 Our bed and breakfast is about 17 miles from the town of Soldotna and 15 miles from Ninilchik. We are on the bluff side of the road with a nice view of the mountains from the back deck. Cancellation at least 2 days prior to arrival or pay 50% of first nights rent. We are located at 63650 Sterling Highway (about mile 116) on the bluff side of the road. You will need a car that you can rent at either the Anchorage airport (about 3 hours away from us) or the Kenai airport (about 30 minutes away from us).